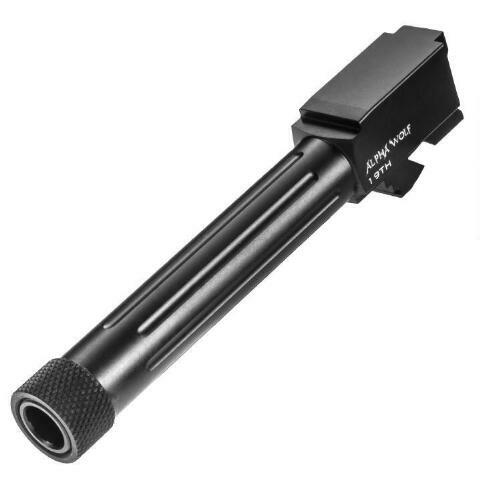 -Designed for lead, plated or jacketed ammunition. 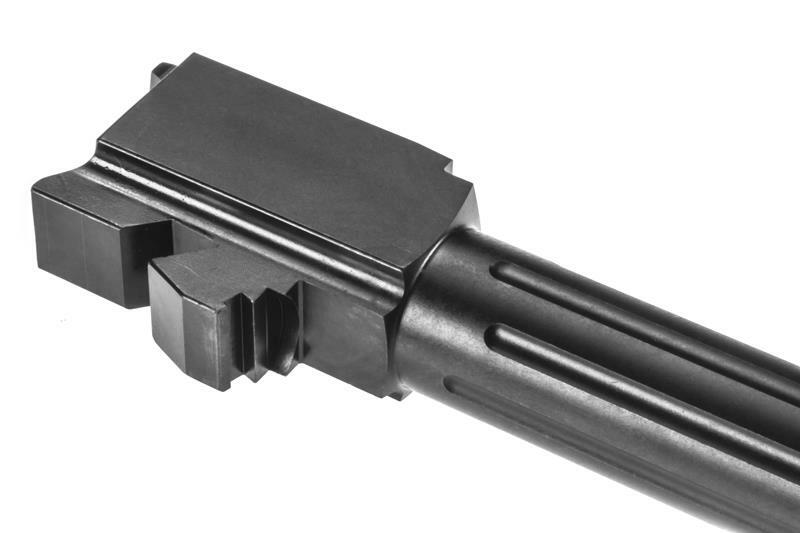 -Certified, stress relieved 416 stainless steel. -Button rifled, three stage honed bore. -Industry recognized SBN (salt bath nitride) premium coating, similar to Tennifer. 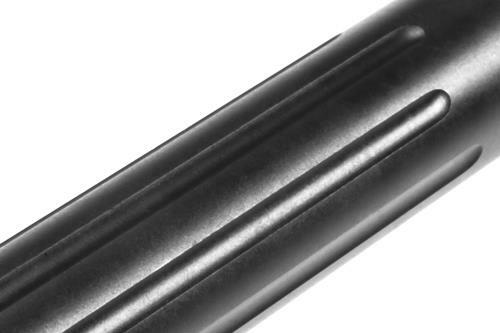 -Heat treated to RC 40-42 then SBN coated, increasing hardness to RC 60. 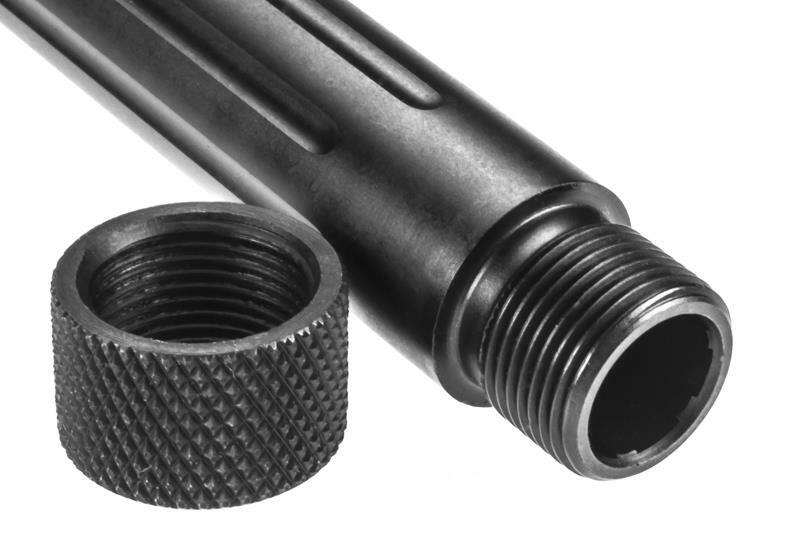 -Exacting tolerances allow for drop in installation. -Fluting creates path for heat and debris to escape. -Threaded models come with appropriate thread protector installed. Dropped this into my Glock right before a four-day defensive pistol course at Front Sight out in Nevada. It shot well, had zero issues and it looks nice. Got a few compliments on how nice it looked, but obviously performance is the key. I can’t speak to accuracy improvement over the factory barrel, since I have never measured it. However, it shoots just fine for me and I was able to graduate the four day. VERY PLEASED!